The Flyers defeat Fort Kent, 3-1, to win their first Gold Ball in seven years. 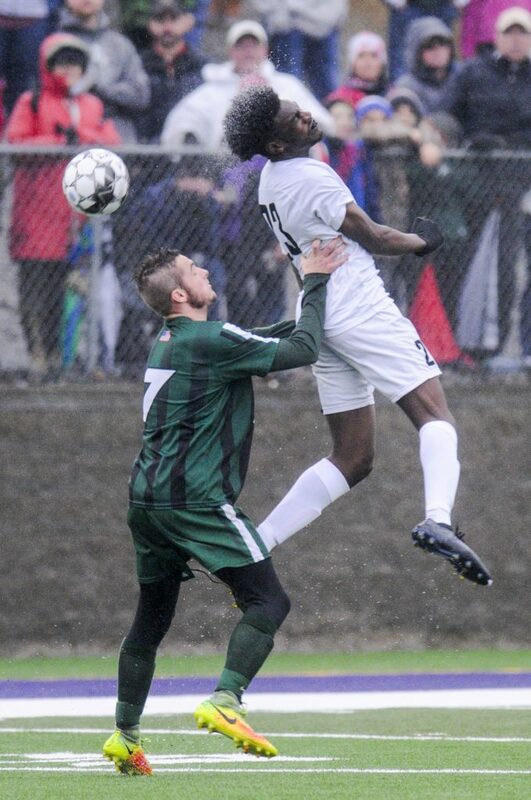 HAMPDEN — A steady rain and an early deficit weren’t enough to keep the Waynflete boys’ soccer team from its date with destiny Saturday afternoon at Hampden Academy, as the Flyers capped arguably the finest season in program history with a Gold Ball. 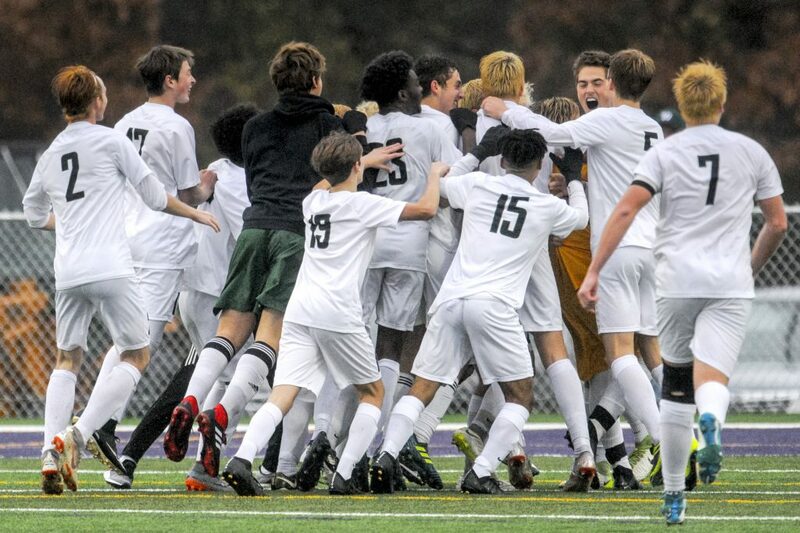 The Flyers fell behind Fort Kent in the game’s fourth minute but answered with beautiful goals from Askar Houssein, Oliver Burdick and Patrick Shaw, then got a couple clutch saves from Luca Antolini and went on to a 3-1 victory in the Class C state championship game. 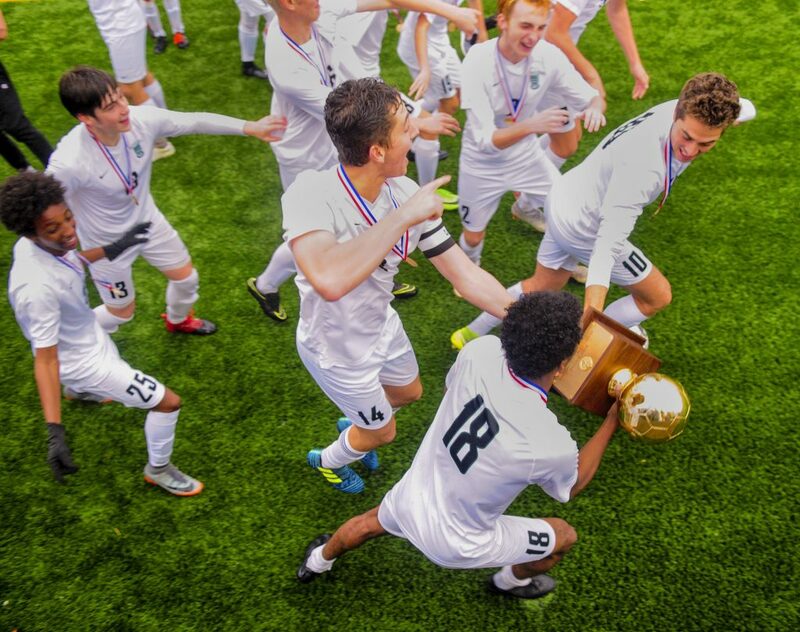 Waynflete finished 15-0-3, earned its fifth Gold Ball and its first since 2011, and ended Fort Kent’s season at 14-3-1. 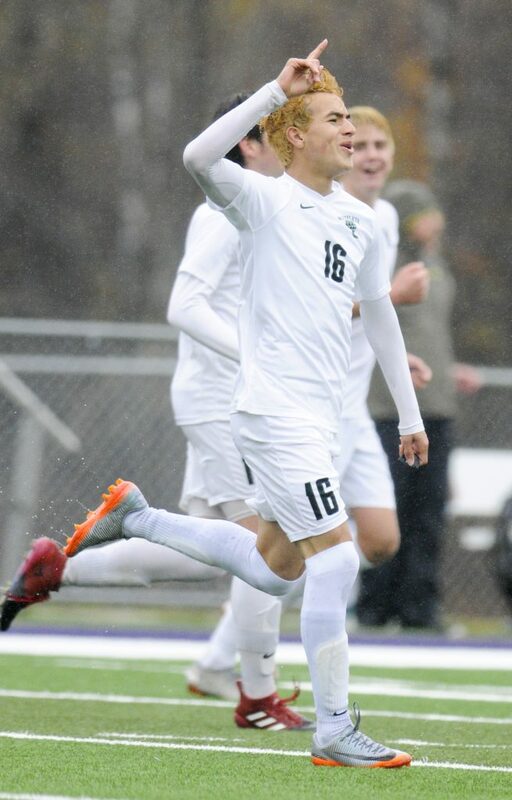 “When you take into consideration our (Western Maine Conference) schedule, not losing a game and beating a good team here, it’s hard not to say this isn’t our best (team),” said longtime Flyers Coach Brandon Salway. Fort Kent stunned the Flyers early. 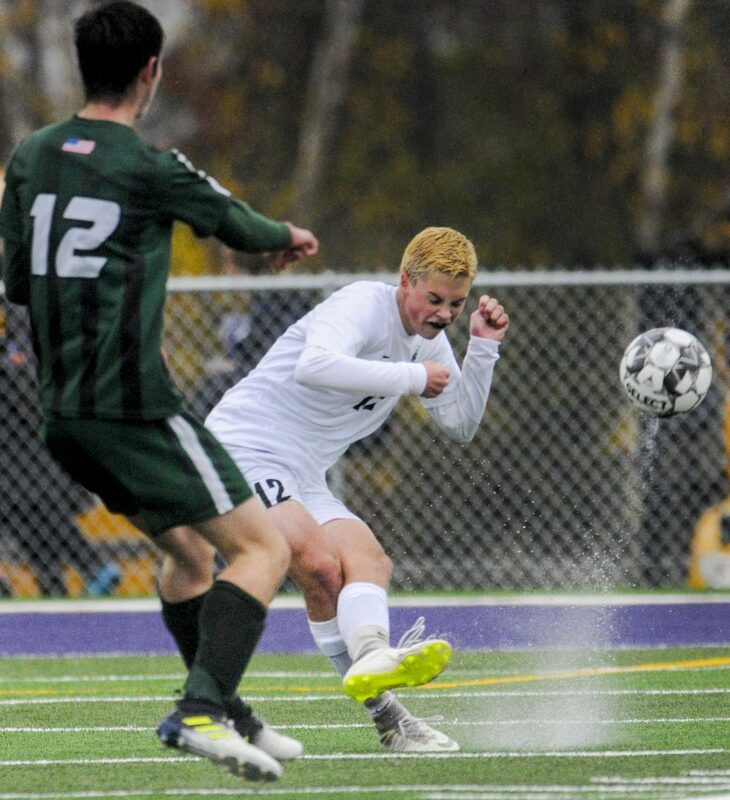 Just 3 minutes, 20 seconds into the game, Kayden Nadeau took a feed from Noah Martin and flicked it past Antolini and into the net for a 1-0 lead. 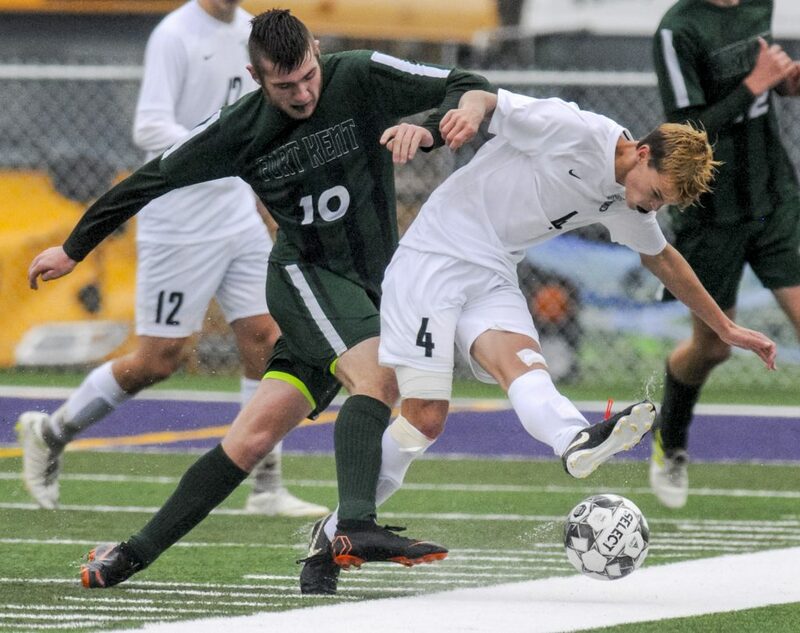 The Flyers settled down and answered in the 15th minute on a corner kick, as Shaw served the ball in and Houssein headed it past keeper Reece Pelletier. 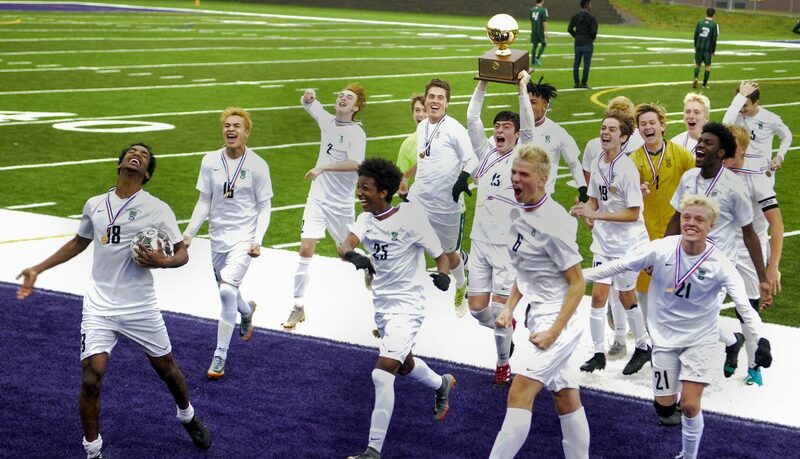 The go-ahead goal was something to behold, as Burdick got the ball about 35 yards out and made solid contact, blasting it just over Pelletier’s outstretched hands and into the net for a 2-1 advantage with 9:44 to play before halftime. Eight minutes into the second half, Shaw matched Burdick with a highlight-reel goal of his own, scoring from nearly the same distance as he finished just inside the far post for a 3-1 lead. Fort Kent tried hard to answer but couldn’t solve Antolini, who made a clutch diving save to rob Austin Plourde with 14:48 remaining, then dove to punch away another Plourde bid with 11:19 on the clock. 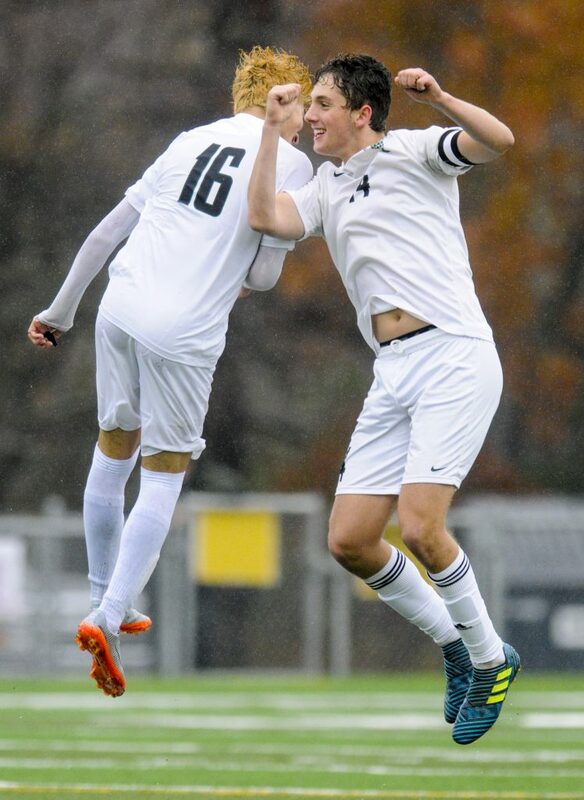 Waynflete didn’t surrender another shot and soon was celebrating a championship. Waynflete finished with a 9-7 shots advantage and got six saves from Antolini. 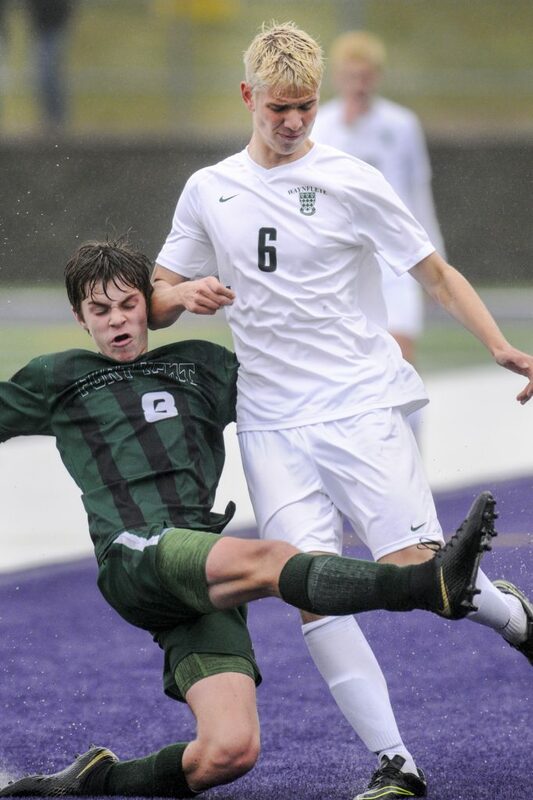 Fort Kent had a 6-2 edge in corner kicks and got six saves from Pelletier.